Too good for the entry level, huh? Well, we don’t blame you. Once you have a taste of wireless headphones, the only logical route is to continue onwards and upwards to the heady heights of more features, better design, and a greatly improved audio performance. And you’re in luck: at this price range, you’re all but guaranteed to leave your stock earbuds behind once and for all. Not only do you get the obvious benefits of a wire-free life from here on out, but you’re more than likely to find that you end up with a significantly better listening experience to boot. Let’s dive in to what the ~$100 price point has to offer! A classy, stylish design which leaves no one disappointed. Pair of quite impressive 40 mm drivers. 12 hours of battery life makes them quite functional. Color options are a bit limiting. Pioneer needs no special introduction when it comes to audio equipment. This giant of the audio world has been making some of the best headphones, radios and speakers on the market. However, they also offer quite a lot in terms of budget options. Case in point Pioneer SE-MS7BT-T. This pair of headphones offers the best bang for the buck ration. First of all, you are looking at a very sleek exterior that is covered in leather. The headband is well padded and comfortable to a fault. Pioneer went with simple adjustment system which allows you to find a comfortable setting quite easily. In terms of hardware, you’re looking at a pair of 40mm drivers and 12 hours of battery life. Impressive sound quality thanks to good hardware and software. Simple design that is very comfortable and reliable. 25 hours of battery life makes them quite impressive. Feature a cable for battery free use. A fairly bland looking set of headphones. 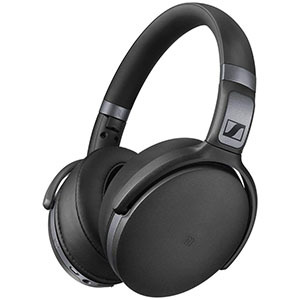 It is no secret that Sennheiser HD 4.40 are by far some of the most popular budget headphones on the market. They have established such a reputation thanks to their performance, functional design but also pretty decent comfort. If you are looking for something proven, reliable yet low profile, these cans are definitely worth your time. They are great. The most important aspect of Sennheiser HD 4.40 is their sound quality. There are two factors which contribute to this. Starting with their impressive 40mm drivers with a wide range and plenty of color, but also the aptX technology which ensures flawless wireless streaming. With 25 hours of battery life, these are easily some of the best out there. Super low profile design that works great. Great set of drivers ensures good sound quality. 12 hours of playtime makes them competitive. Simple design is great, but exposed wires are too much. Low profile headphones are becoming more and more popular these days. Especially due to their lighter weight and overall smaller size. 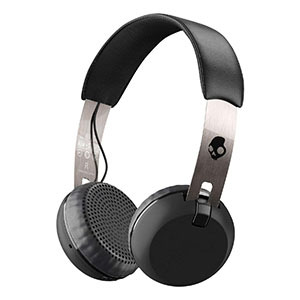 Skullcandy Grind Wireless fit that description quite nicely. They’re pretty light, offer a decent punch and come at a great price. You can’t ask for much more than that. If you need low profile Bluetooth headphones, these are it. In terms of hardware, you are looking at a pair of fairly compact drivers which cover a pretty wide frequency range. They’ve managed to pack 40mm drivers into tiny enclosures, thus saving on weight. The 12 hour battery pack allows you to enjoy these for quite a while. With that said, these might be a bit too rustic for some. Great bang for the buck value overall. Decent comfort thanks to plenty of padding. Good sound quality due to dual 40mm drivers. Great battery life despite active noise cancellation. Stock ear pads aren't all that great. 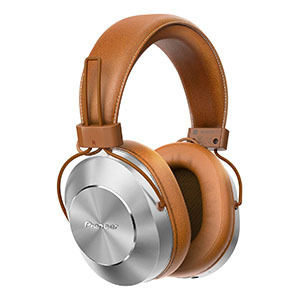 Entry level headphones are a very competitive segment of the market. You will find a whole lot of established brands, giants of the industry, but also a number of lesser known names. LinkWitz Noise Canceling Headphones a representative from that segment. These are basically a good compromise between price and performance. If you are on a budget, these are great. The frame is made of quality plastics, which is probably the largest corner they have cut. With that said, these feel pretty robust when you pick them up. Drivers you get are fairly decent with plenty of range and good audio quality. The battery life of 14 hours is impressive considering the active noise cancellation tech. Overall, these are decent. One of the best looking models in the budget segment. Great frame design that makes these look stylish. 40 hours of battery life is quite something. Driver chassis are pretty big. Avantree is definitely one of the brands that are starting to draw attention. Their headphones not only look good but also deliver great performance for the money. Models such as the Avantree Audition Pro really show you just how far the budget segment has moved the bar. 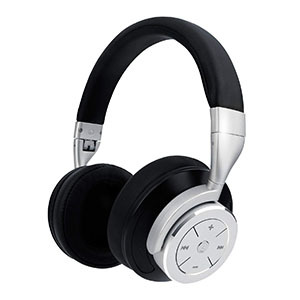 These headphones are great for those who want something stylish but ultimately affordable. The frame is pretty simple and well padded. Avantree went with a faux leather finish which really pushes these up in terms of style. The hardware is pretty standard. You have a pair of decent 40mm drivers paired with an impressive 40 hour battery life. On top of that, you also get a cable as a backup. These are great. One of the best low profile affordable headsets. Comes with an awesome microphone as well. Offers great audio quality across the board. Good battery life considering the size. Outlandish color options which may be too much for some. 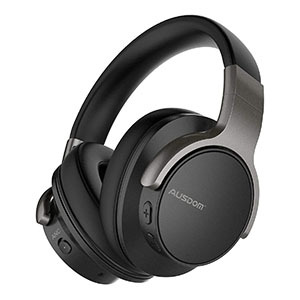 Jabra is a well known player when it comes to wireless headsets. Truth be told, their main focus are business solutions. 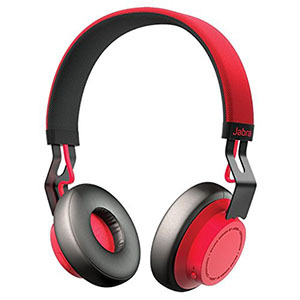 However, Jabra is also known for their awesome consumer headsets. One such model that comes to mind is the Jabra Move Wireless Stereo Headset. It is a simple, fairly compact set which really defines the bang for the buck. Aside from its pretty provocative exterior and style, you are getting a pair of really awesome 40mm drivers packed in a subtle speaker chassis. The battery allows for some 8 hours of talking or listening to music, which is perfectly normal for a set of this size. Best of all, the audio quality you get is impressive and worth it. Super affordable solution that works. 600 mAh battery which ensures over 20 hours of playtime. Good hardware that delivers decent sound quality. Good padding all things considered. An abundance of cheap chrome plastics. When you star to really dig for affordable headphones, you will run into a number of great models which fill that very demanding niche. Cowin E7 are just one such set. Right off the bat you will notice that the frame looks rather beefy. That’s because Cowin has used a lot of plastics for this build. At this price, that is acceptable. Although the frame may not be overly attractive, the hardware it hides definitely is. Corwin went with a decent pair of 40 mm drivers which are capable of rendering most music genres quite nicely. The low end is there but it feels a bit overpowering. The battery comes in form of a 600mAh unit which translates to roughly 25 hours. Great but simple design that looks awesome. Comfort which is just right for such a model. Large battery allows for 25 hours of use. Great sound coming from dual 40mm drivers. Not the best noise canceling tech. 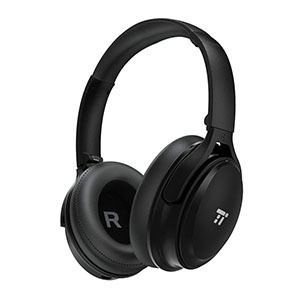 TaoTronics is actually a pretty well established name in the headphones industry. Most know them for their Bluetooth earbuds and similar products. With TaoTronics TT-BH22, they have scaled their knowledge and experience onto more robust and practical designs. These headphones look awesome, sound pretty good and offer plenty of wireless hours of pure enjoyment. The TT-BH22 are super budget friendly. Although simple the frame on these is well designed and well made. There isn’t much padding aside from earpads, but that isn’t an issue thanks to their light weight. 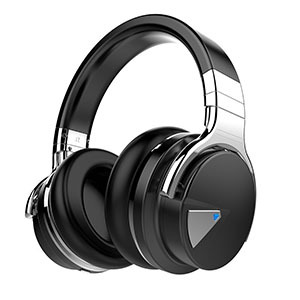 The more interesting fact is that these offer 25 hours of wireless performance and come with a great set of transducers. Overall, if you’re on a tight budget, these will work. Simple and robust design which works. Feature great hardware and transducers. Come packed with standard features at a low price. Awesome sound quality with great resolution. Massive form factor makes them quite clunky. Trying to score decent headphones used to be impossible if you didn’t have a decent budget available. These days, things are much different. Models such as Ausdom ANC 8 are taking over the budget segment thanks to their cheap price, good performance and decent reliability. On top of that, they are slowly starting to challenge more expensive models for sure. The frame on these is thick and padded in all the right places. These are by no means small or compact, which is a small price to pay for the rest of the package. The hardware is fairly standard for this segment, comprising of good 40mm transducers, a decent battery and active noise cancellation. Overall these are a great choice. If the $50 price bracket can be thought of as essentially swapping your stock earbuds for a similar product without the wires holding them back, then it’s at the ~$100 range that you start to see a marked improvement on that ever important trio of design quality, audio performance, and feature sets. The level of differentiation is also noteworthy once you make the jump up to wireless headphones of this sort of value. Generally, this will be most obvious in terms of the actual form factor of the device itself: are you looking for, for example, on- or over-ear headphones? Are you all in on a fashion forward, statement look, or are you best suited to an unassuming, natural elegance? These are all decisions you get to make here. And it isn’t just a matter of design. At this price point, you can start to have a real say in the kind of sound signature you’re looking for. If you prefer a heavy bass response, you’ll be able to find it. If you would rather focus on clarity or the ability to customize the sound to your own liking via, for example, an EQ app, these too are on offer. Battery life can be a little disappointing when comparing headphone models at this price point. The simple reason is that it’s not quite enough of a price jump to warrant the kind of tech you’re going to see in, say, a $500 model, especially as the focus is so often on distinguishing less core functionality. On the whole, you will probably find that battery life is more similar to ~$50 models than it is to ~$200 ones. This isn’t necessarily a bad thing, but it is certainly worth being aware of before you dive into an overall comparison of what’s on offer. Build quality, too, can be a variable proposition. It’s often a good idea to get your hands on your final considerations before purchasing (or, at the very least, to read a lot of reviews from people who already own the product) in order to get a sense of how long you can expect the device to last. This is a matter both of ensuring that the headphones are built from materials that are inherently durable, and that they can be transported without issue. You’ll find that many fold into a smaller shape for portability, and others come with a carry case. If this is a priority, make sure to find out in advance. Our advice here is to pick between two key factors—battery life and audio quality—and decide which one you are going to prioritize above the other. It’s worth keeping in mind that even if you put the duration of your battery life above audio quality, you aren’t going to end up with a downright bad listening experience. It’ll be at the very least an improvement on your stock earbuds, but potentially not a whole lot more than that depending on the extent to which you look for additional features and battery longevity above audio performance. 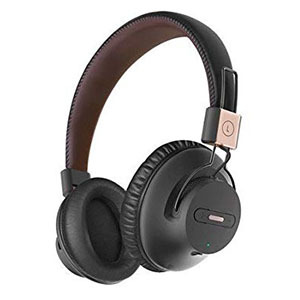 It can be mildly daunting to work out how best to balance all of these potential trade-offs, so the best advice we can give you is to start with an overview of the wireless headphone market and begin to narrow it down from there based first on budget and then your personal needs and requirements. This price point has benefited especially from an injection of innovative, competitively priced models in the last couple of years. And the benefits are tangible: more choice, higher quality, and better performance across the board. It’s never been a better time to jump into the wireless headphone market, so don’t be put off. Don’t be put off by the fact that you have to make trade-offs at this price point: it’s never not the case that you will have to make real decisions between various elements of a device based on your particular use case. Even at the top-end of wireless headphones, you’re often going to have to make similar choices with even more pronounced differences. So don’t sweat the small stuff; it’ll all be okay.